DOMON Ken passed away quietly on September 15, 1990 at Toranomon Hospital in Tokyo, after eleven years in the hospital. He never regained consciousness following a stroke, his third, which he suffered in 1979. He had once said, “Everyone must die. There is nothing you can do about it, and I am certainly going to die one day too. Death and life are absolutes, because they are reality.” One might say that he had submitted to the absoluteness of reality, and had even accepted it serenely. In any case, the realism of DOMON Ken was a pursuit of the absoluteness of “reality” wherever it might lead him. And he held the same view with regard to life and death. But the environment in which he spent his childhood was by no means cheerful. His parents quarreled constantly, and after they went to Tokyo to try to make a new start, he followed them in 1916, taken there by an uncle. He graduated from Yokohama Dai-ni Middle School in 1928. At that time DOMON dreamed of becoming a painter, but he happened to see Admonitions of the Imperial Instructress, a painting by Qu Kai Zhi, a famous Chinese painter of the 4th century, and “reached the conclusion that, with my ability, even after a lifetime I would never be as good as that. After a depressing and painful stocktaking, I gave up my dream of becoming a painter and broke all of my brushes” ( Watashi no rirekisho). He eventually got involved in the peasant movement, but after repeated arrests, had no choice but to give up. This was his second setback, but these experiences had opened his eyes to the contradictions of the social structure. The ground for the ideas about social realism and ethnic realism, which were incorporated in his photographs after the war, was cultivated in this period. 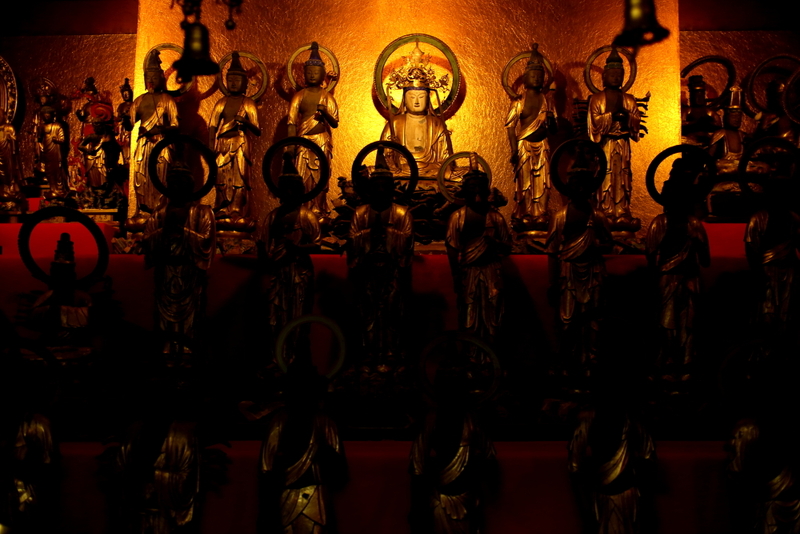 A great religious leader opened Dainichibo in the 2nd year of the Daido Era(AD 807). 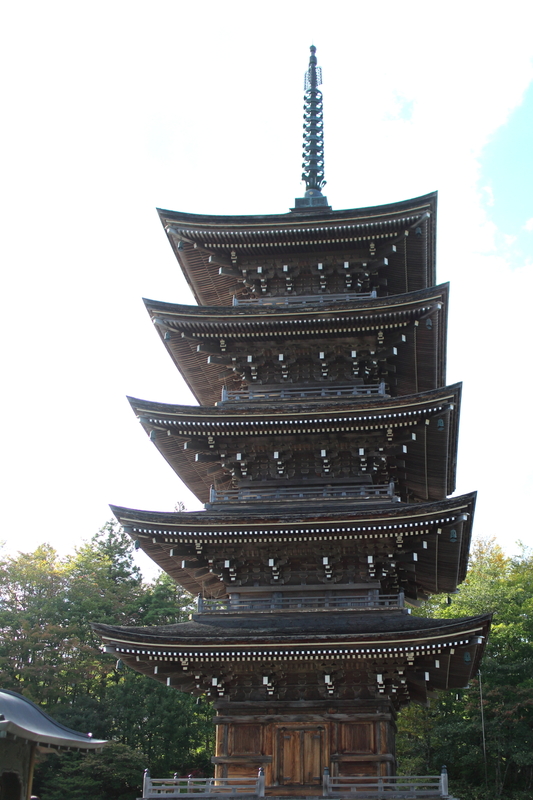 Originally named Kyooyugaji, later it was changed to Ryusuiji-kongoin. 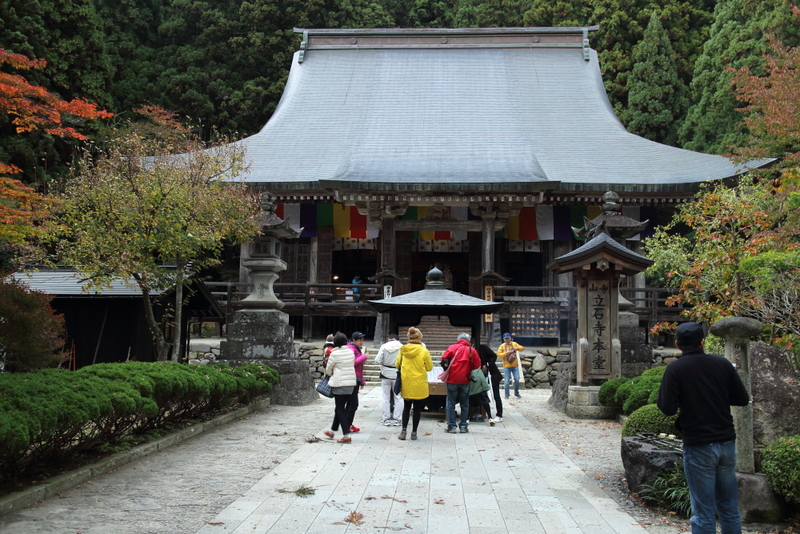 At that time, women were forbidden to worship at Mt.Yudono, but they were able to visit and pray at Dainichibo, the main temple of Mt.Yudono. 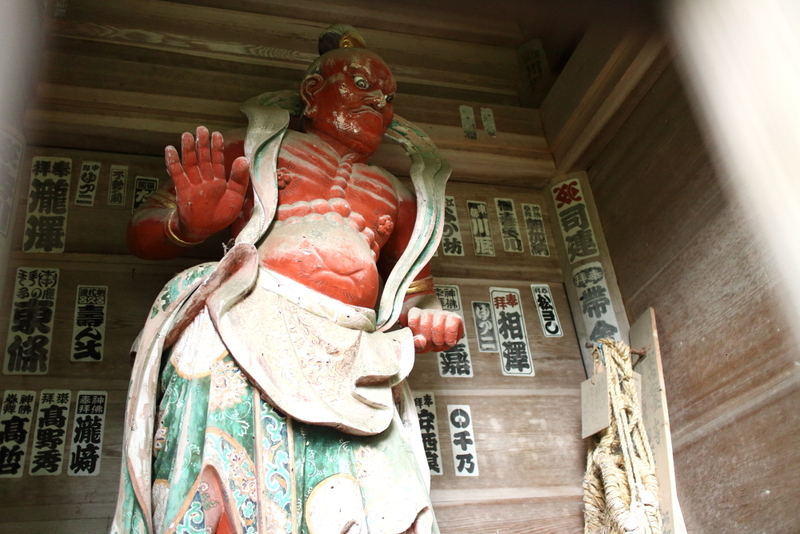 Dainichibo was rebuilt by Kasuga no Tsubone, and records show the Sakai Clan made considerable donations to the temple. The present temple was moved from its original location by landslide in 1936. 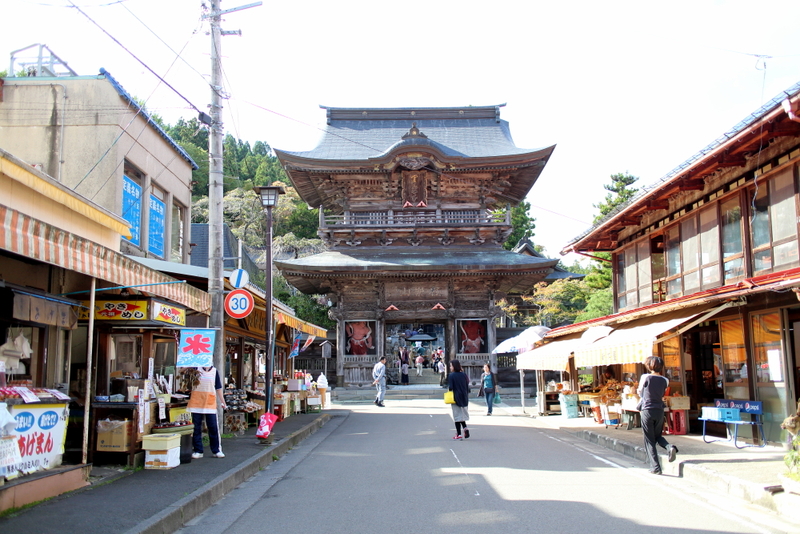 According to a discovered marker, Niomon Gate was built in the Kamakura Era(1185-1333), making it the oldest Niomon Gate in Yamagata prefecture. A Japanese cedar tree over 1,800 years old stands within the original grounds and has been designated a natural monument by the prefecture. 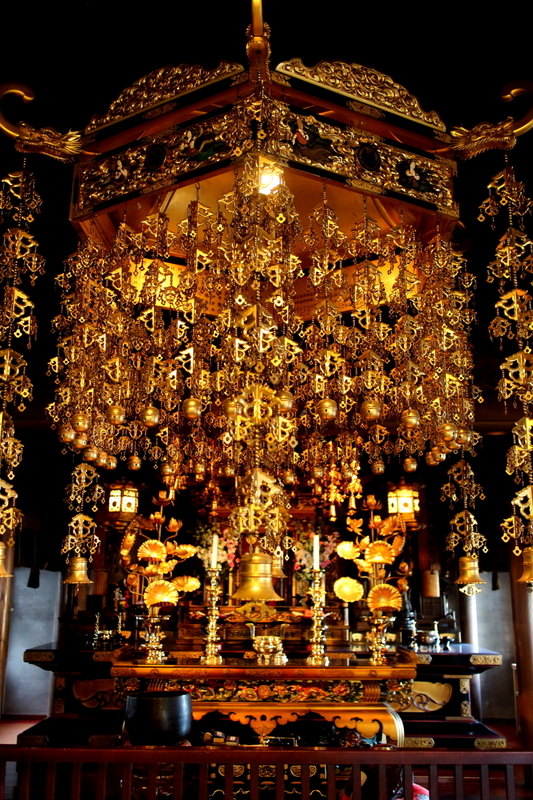 It is called the “imperial altar” because it was planted on the gravesite of Prince Mimurowake, the son of Emperor Keiko. In 1971, Prince Ayanomiya made a visit to the tree. 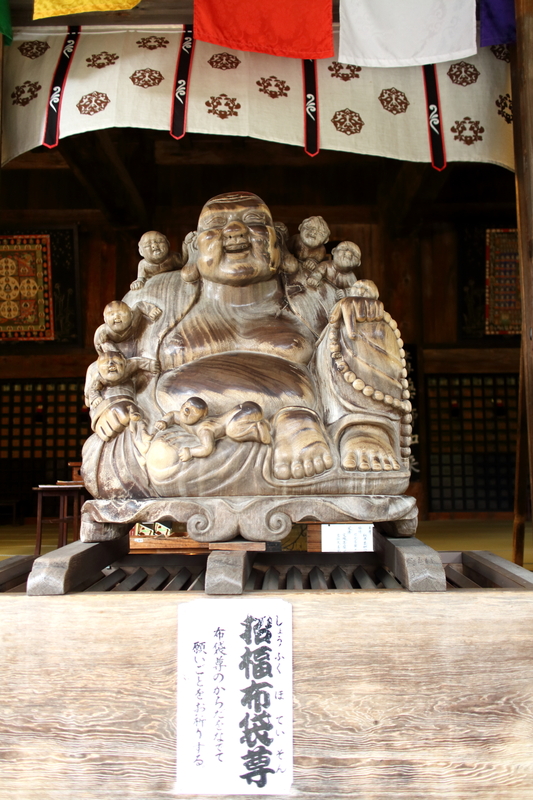 In addition, Hokyointo(a stone monument), the biggest Koshinto stone monument in Japan, and sokushin-butsu(living Buddha) are found at the temple. 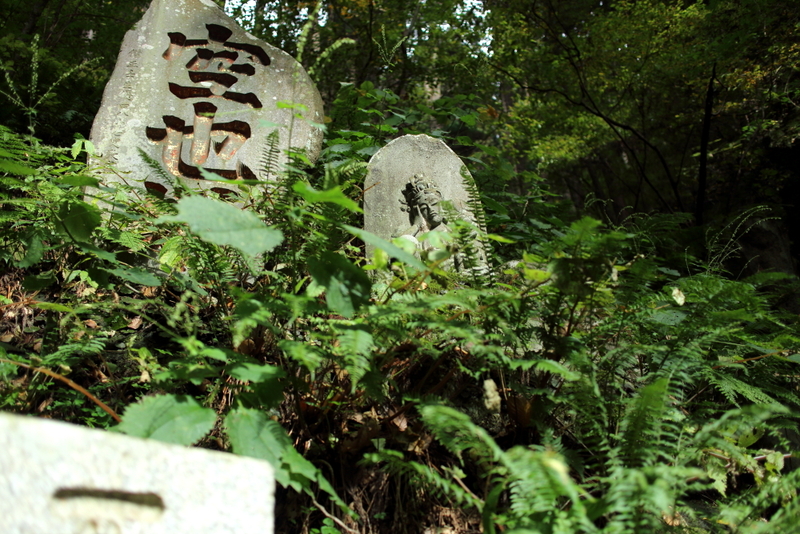 They are some of the many cultural treasures located here at the most sacred mountain in the northeast, Mt.Yudono. Oami Guardhouse stands in the former temple grounds. The area from Watanae to Oami, and from Oami to Oisawa was called Rokuju-ri Kaido. In the old days, the distance of one ri was called six ri , and ten ri (40km) was called 60 ri. 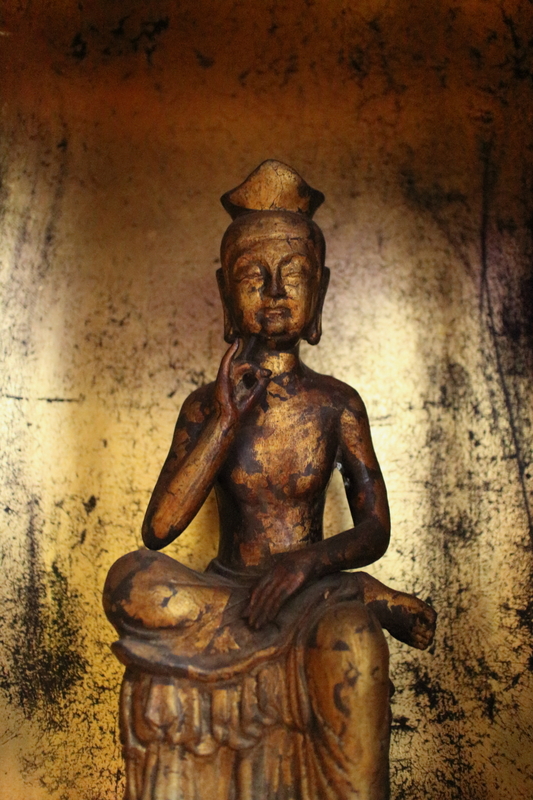 Dainichibo is an historic temple boasting artifacts excavated from the original site, the holy ground of the living Buddhas, the restored Kannondo Temple built in the early Edo Era, various national treasures, and many mysteries. Kenji Miyazawa was a famous Japanese author of children’s literature and poet. 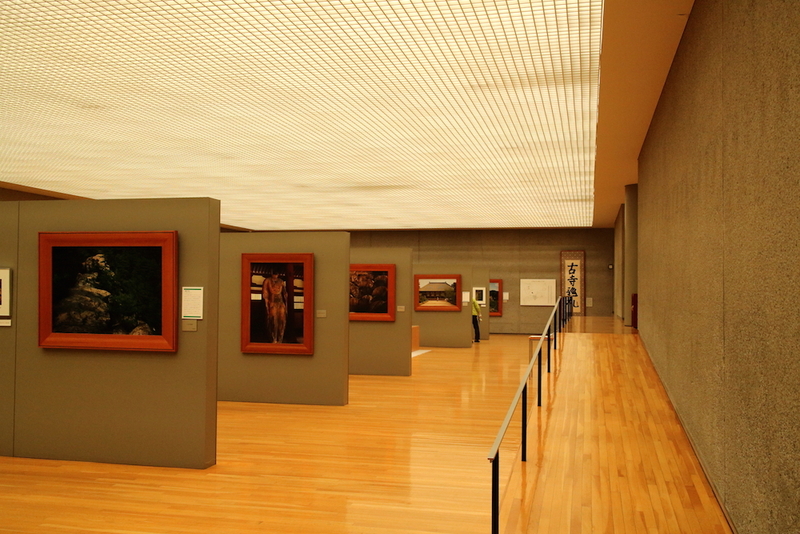 Some of his famous works are ‘Night on the Galactic railroad and ‘Gauche and the Cellist’. 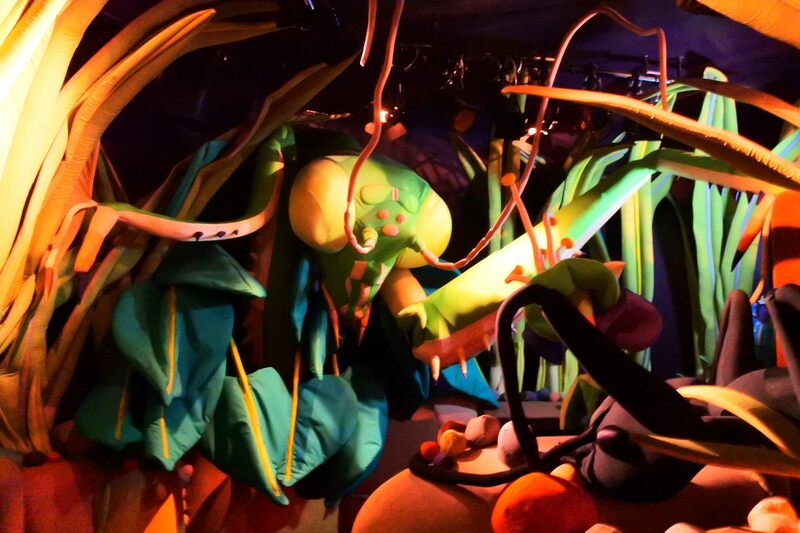 The park features a strange experience through surrealistic rooms and buildings, as well as small interwinding paths through the forests surrounding the park. The mysterious rooms at Kenji’s school each explore a new world, from a mirror room to a insect world where size is inverted. 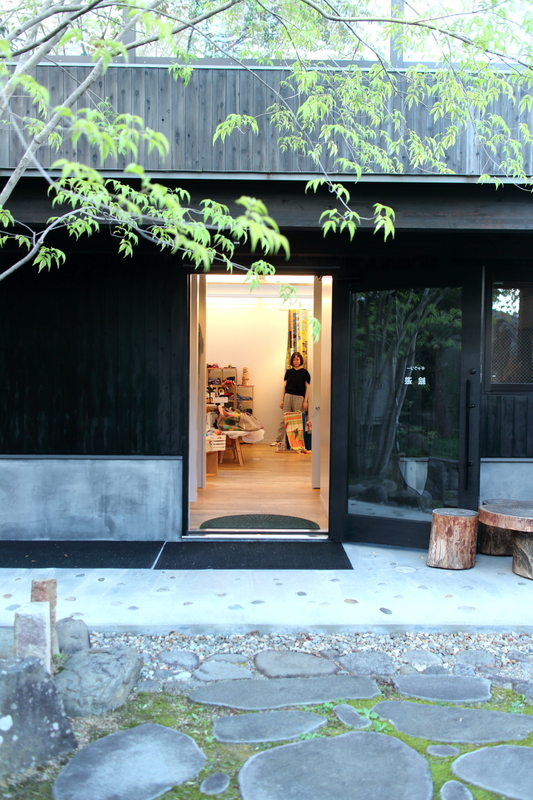 Kenji’s classrooms are a row of wooden log houses each exhibiting a interesting way to learn about animals, plants, stars and rocks that appear in Kenji Miyazawa’s fairy tales. Then don’t forget to pop into the last class to buy and take home a gift. 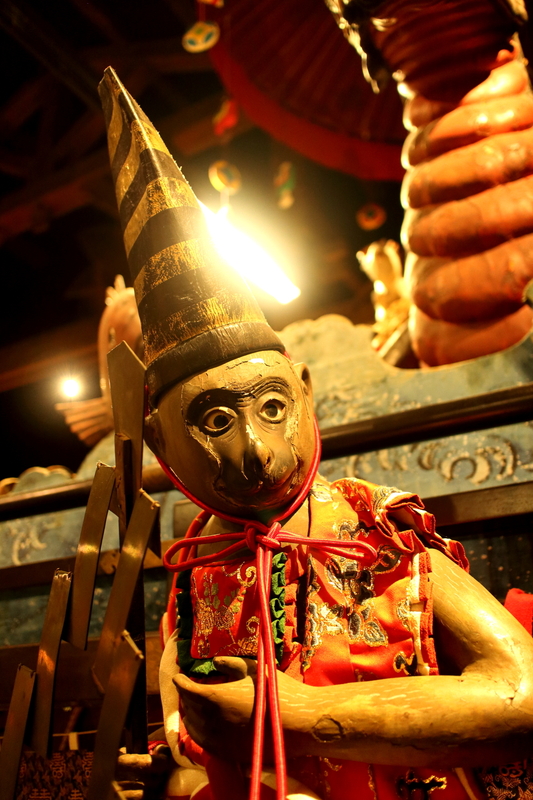 Kenji Miyazawa Dowa Mura is a great family trip when in Iwate where you can get lost in the strange fantasy world. 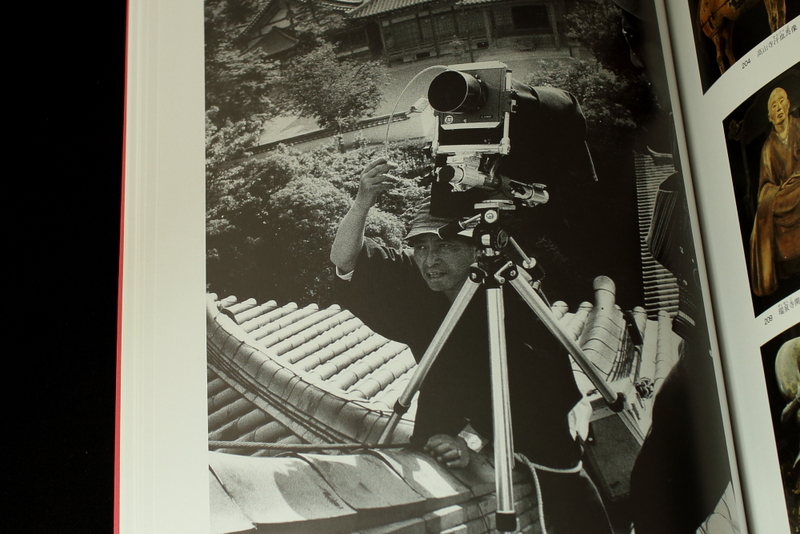 Text & Photo by Shana L.
The Ken Domon memorial hall is a modern photography gallery dedicated to Ken Domon, a photographer whose collection of photographs display a range of traditional artefacts and scenes in Japan, specifically close to his hometown, Sakata. 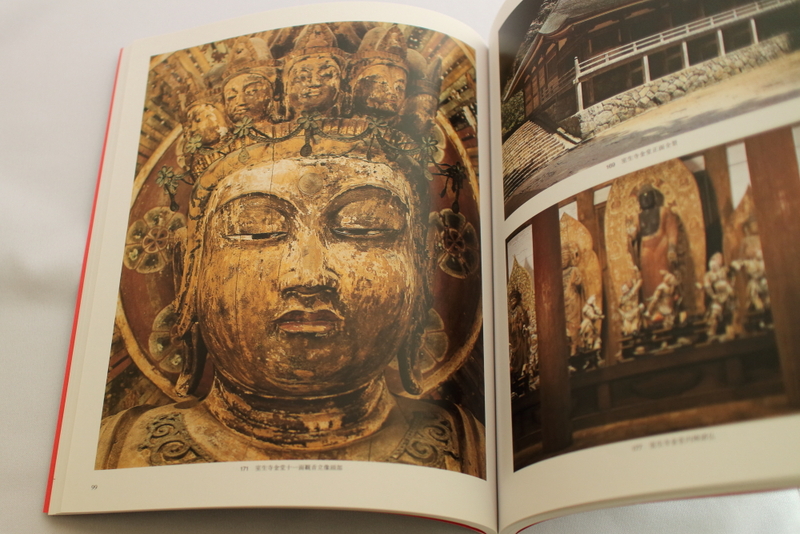 His works ‘’A pilgrimage through old temples’’ present large photographs on the amazing architecture and natural scenes and beautiful monuments. 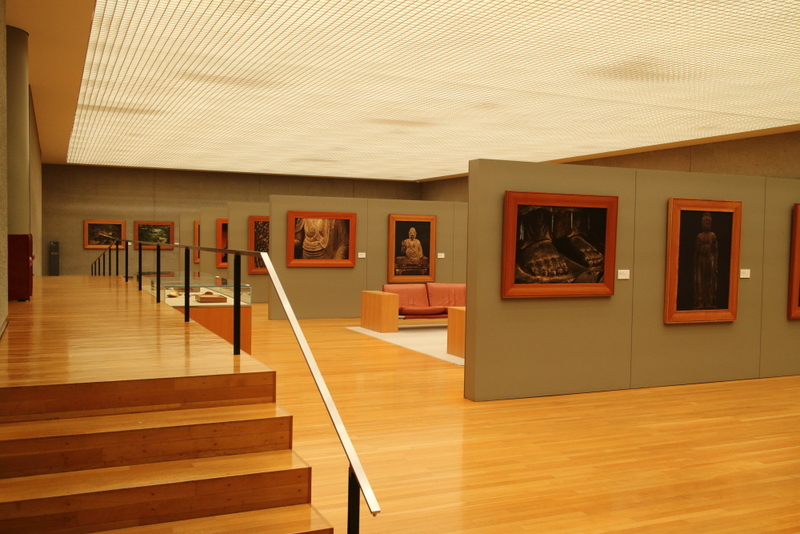 The building itself is also quite the spectacle, you can sit on the many sofa’s round the gallery and enjoy the view. The building is situated on a lake with large windows overlooking the natural landscape. 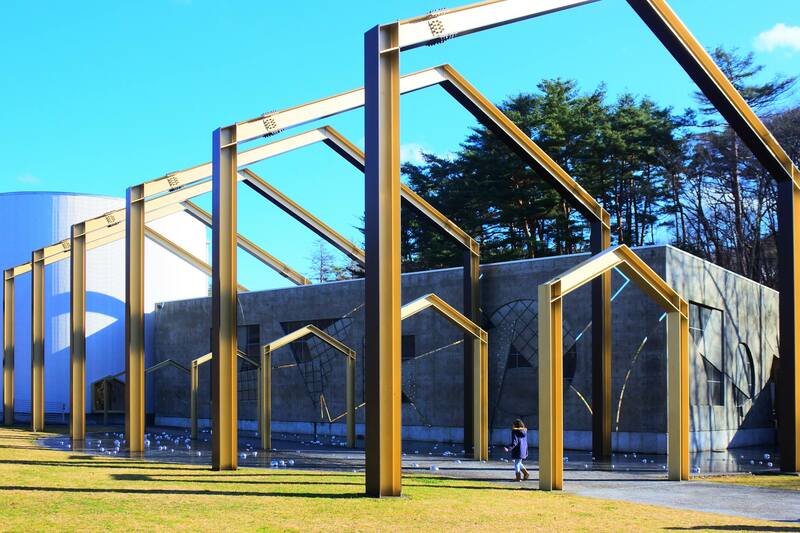 The building was designed by Yoshio Taniguchi; Known for resign of the Museum of Modern Art in New York. 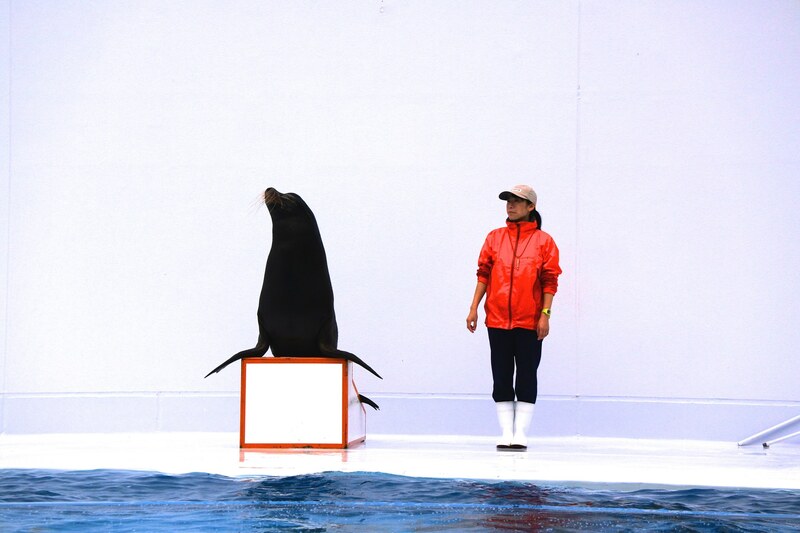 Kamo aquarium is along the coast line of Tsuruoka city and is near a harbour. 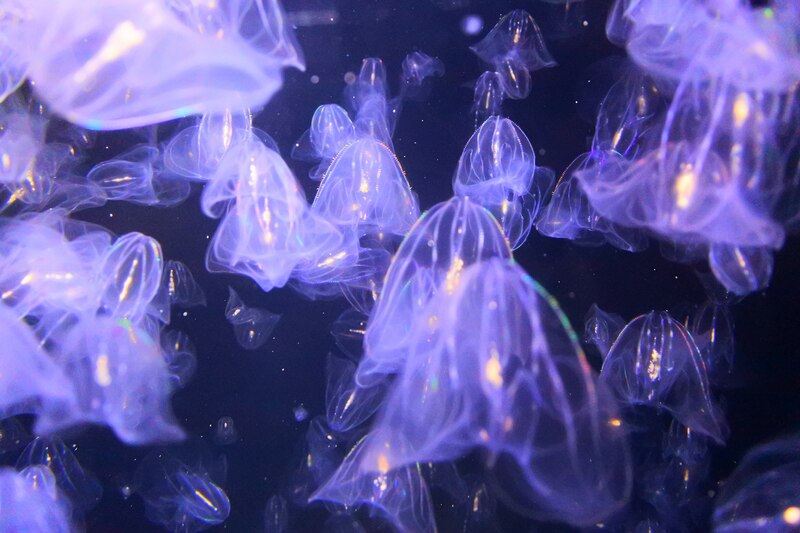 The aquarium itself is known for and has a large collection of jellyfish. It also has a small section where you can see the evolution of the jellyfish as it ages which is something quite amazing. There is a unusual selection sea life, local fishes, anemones and crabs and finally a sea lion show which is on multiple times throughout the day. The aquarium is quite popular and is busy during the weekends so it is better if you have the chance to go during the week. 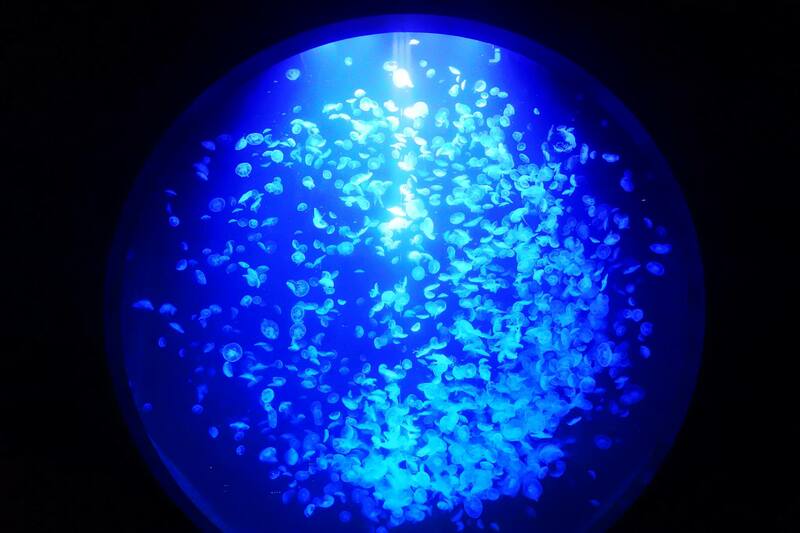 At the end, visit the gift shop and take a venture at tasting the unusual aquarium speciality, Jelly fish ice-cream. 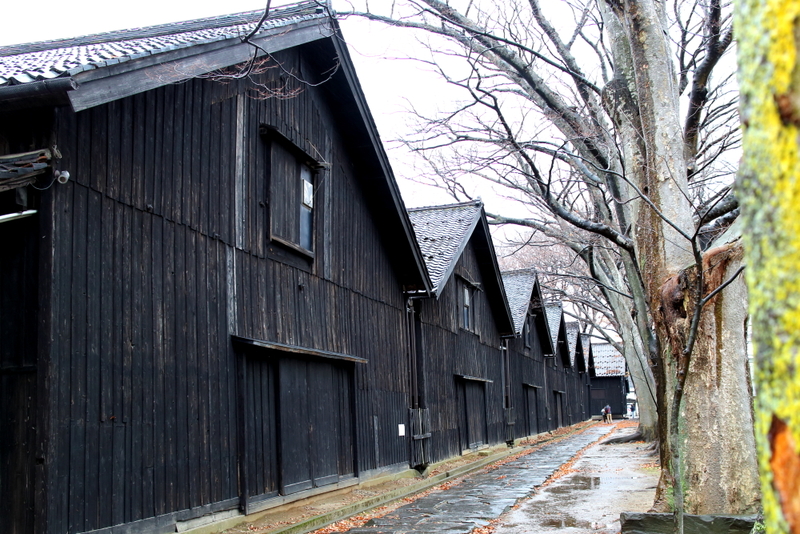 Constructed in 1893, Sankyo Rice Storehouse is comprised of 12 storehouses. This facility was only used for storing rice, and 9 of the storehouses are still in use today. 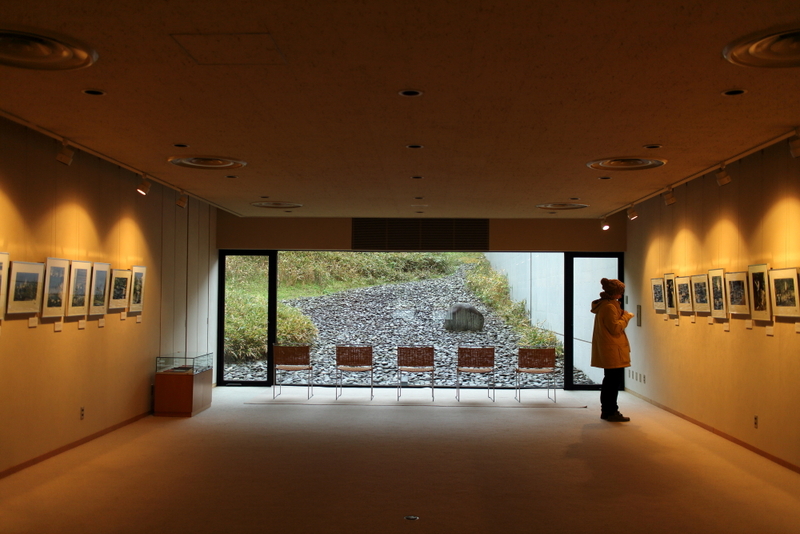 The rest have been renovated into the Shonai Rice Museum and Sakata Yume no Kura. The insulted double-tiered roof, the whitewashed plaster walls, and the soil floor containing magnesium chloride, were constructed to prevent humidity and maintain a low temperature to keep rice quality stable year round. 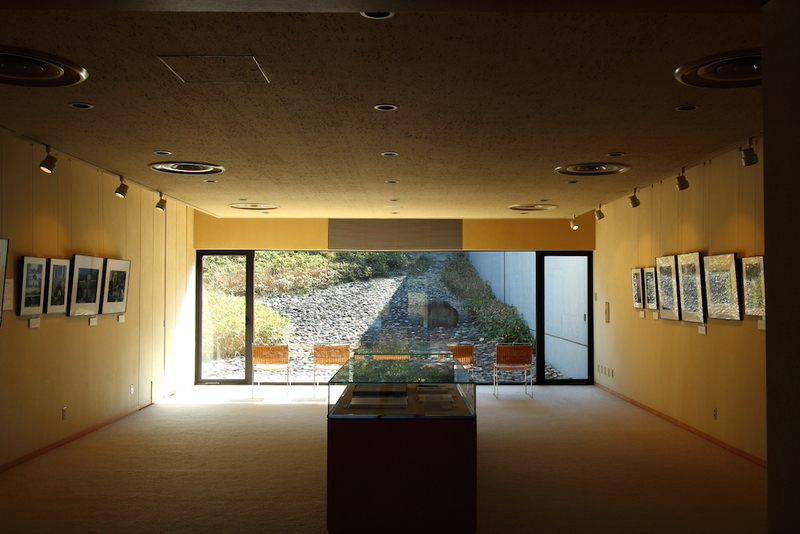 The walls at the back of the storehouses are covered with the line of zelkova trees not only provides shade from the sun, but also protects all 12 buildings from the wind. 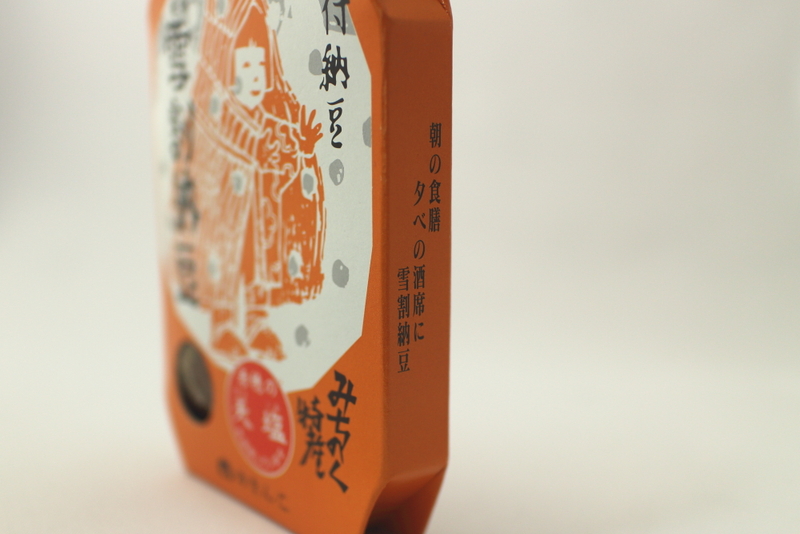 The rice used to be packed in rice bales made of straw. One bale was 60 kg, which is approx. 27 lb. A single storehouse can hold 20,000 bales (1,200 tons; approx. 550,000 lb. ) Given that there are 9 storehouses still used, a total of 180,000 bales ( 10,800 tons; approx. 5,000,000 lb.) are stored. 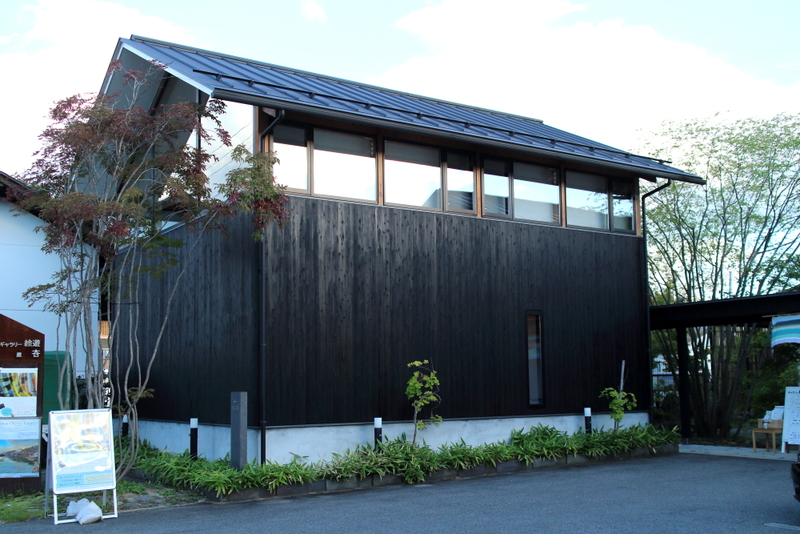 People in Sakata have admired and regarded Sankyo Rice Storehouse and the zelkova trees as a symbol of prosperity, and thus a symbol of the city. 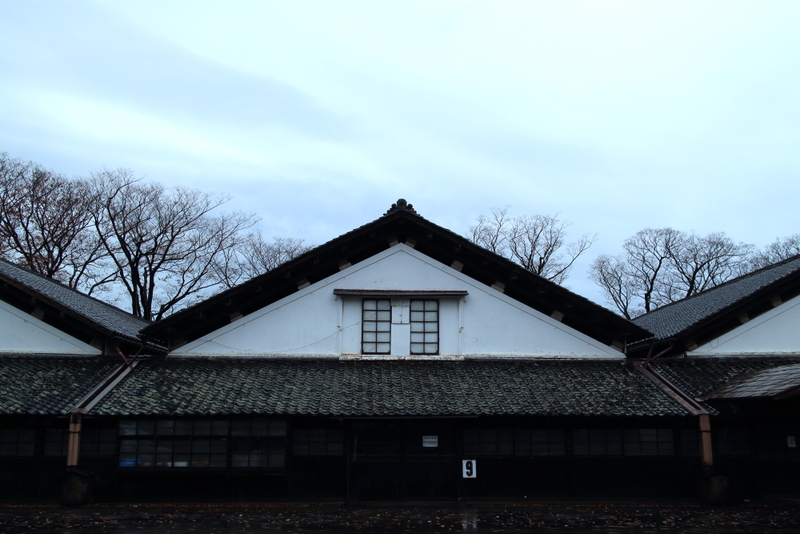 The well-known TV drama Oshin was filmed in many places in Yamagata Prefecture, and one of the filming locations was here at Sankyo Rice Storehouse. The drama aired from 1983 to 1984, and after that was broadcast in many countries all over the world. The scene at the storehouse was rather short, but it moved the audience to tears. This memorable touching scene has made the location so famous that a lot of travelers visit every year. During the Chinju Hie Shrine Festival in Sakata, called Sakata Sanno-sai (presently the Sakata Festival ), each neighborhood contributed a float the festival, Mitsuoka Honma, head of the third generation of the Honma Family, commissioned the Kame Kasa Hoko parade float to contribute splendor to the Sanno Festival and enliven the city. Taking a hint from the Kyoto Gion Festival, in 1765 he had the float built by a Kyoto puppeteer and brought by ship to Sakata. 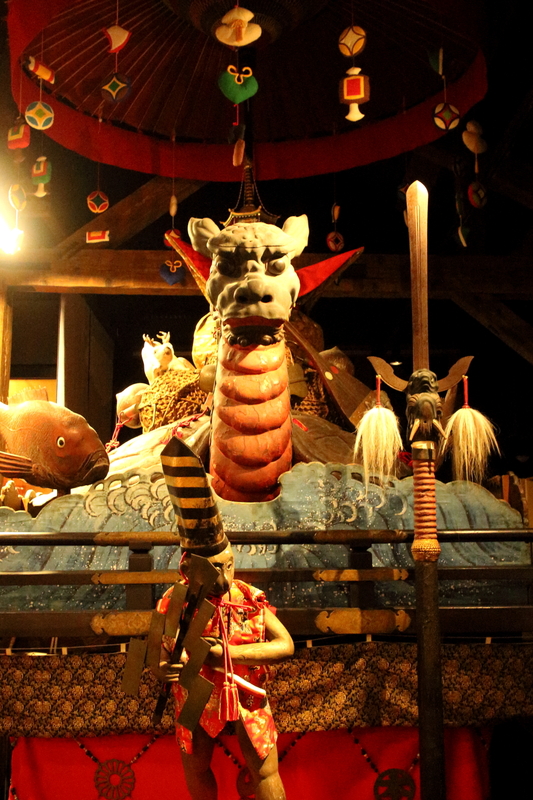 A Kame Hoko ( turtle float )was chosen because the Kamegasaki Castle was a part of Sakata’s his tory. And turtles were thought to be messengers of the Sea God’s Palace and thus considered very auspicious. 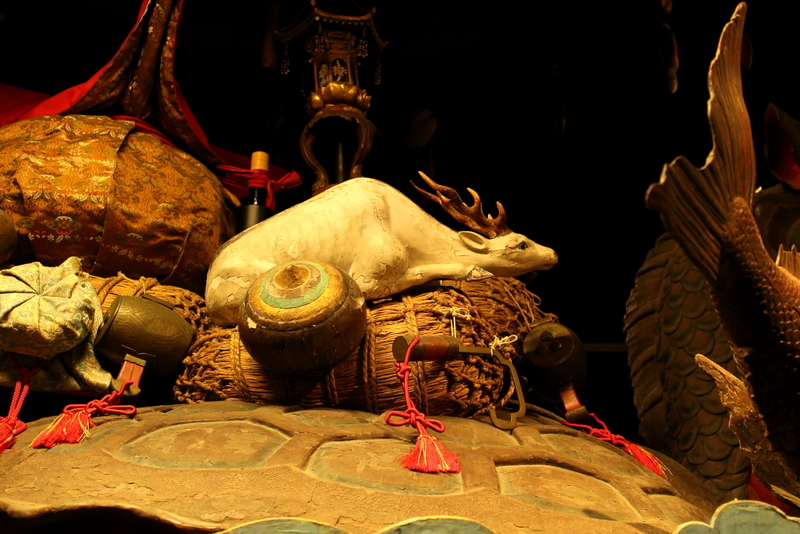 In addition, the head of this turtle resembles the head of dragon. 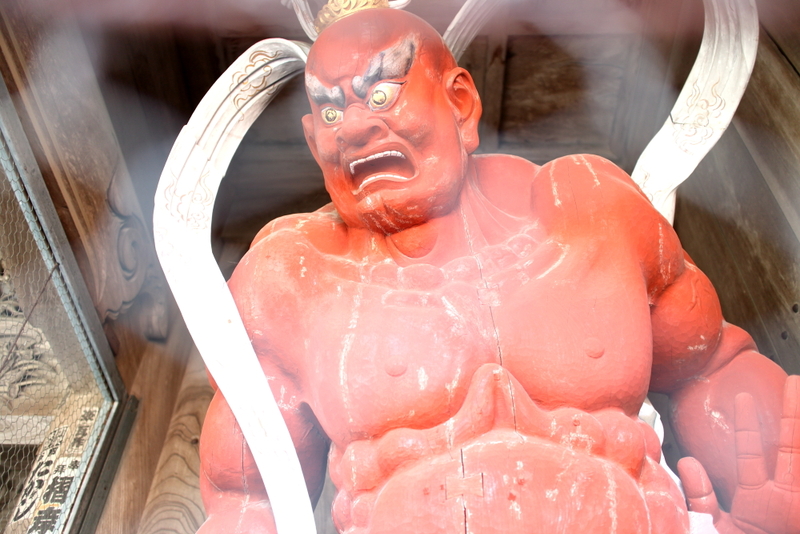 This is apparently connected to the fact that the Sintai god at Kamihie Shrine is dragon god. 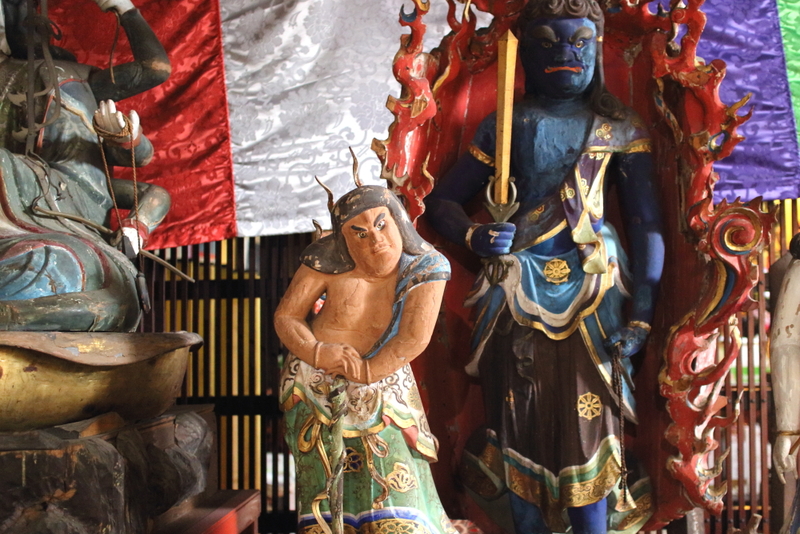 In February 2001, it was donated the city of Sakata and designated as a tangible folklore cultural asset. For the two years 2001 and 2002 it underwent repairs and the umbrella was newly restored. 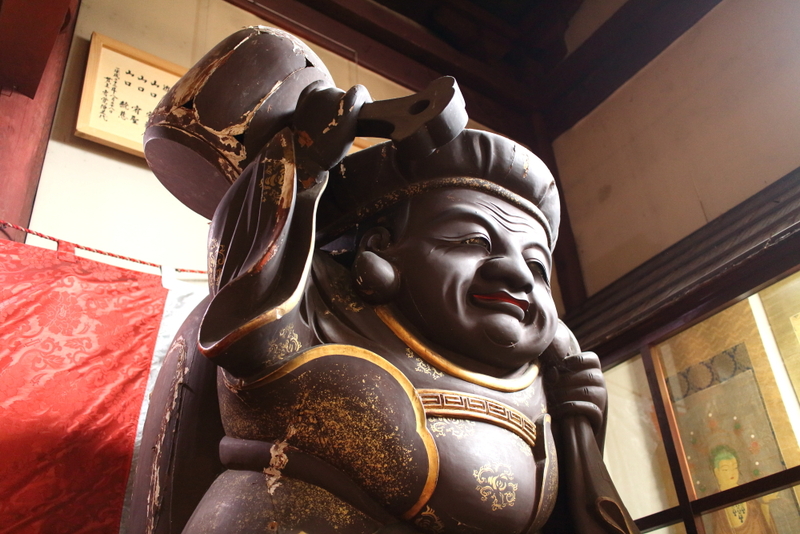 Kamikasa Hoko has an intimate history connected with the Sakata Sanno Festival. 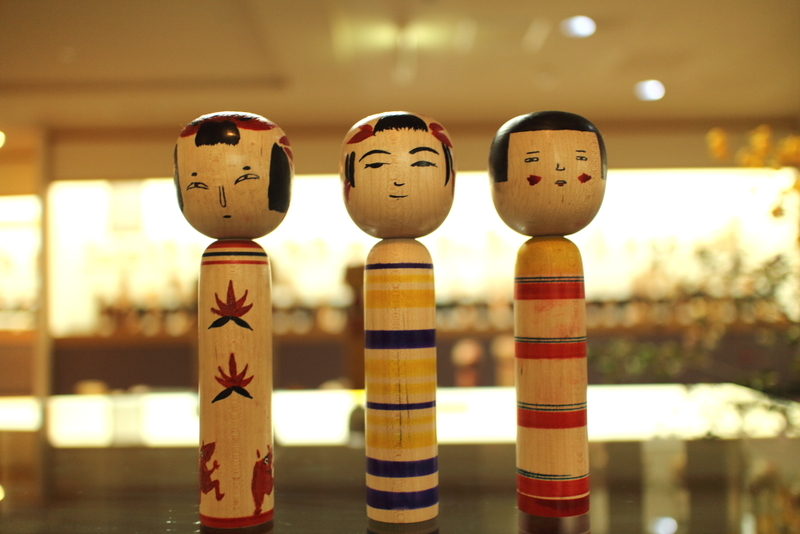 We decided to take part in a kokeshi workshop in Yamagata city. 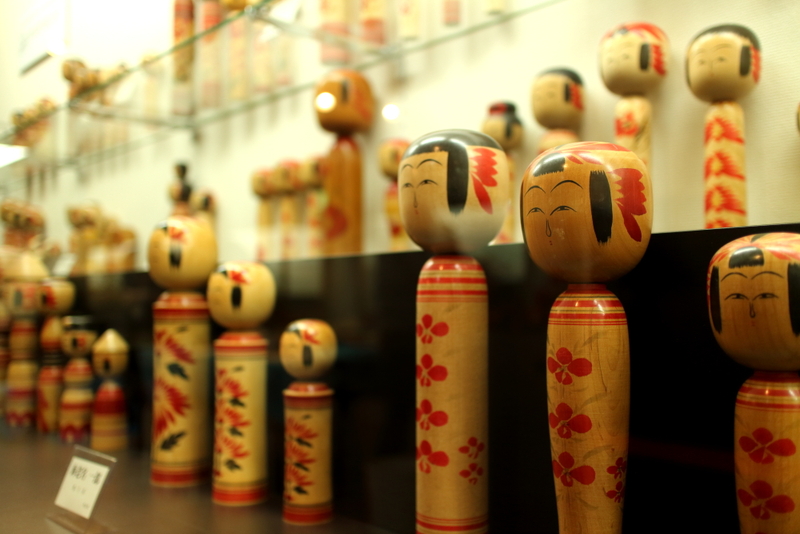 The workshop was located in a shopping centre within a gallery space where there was a large collection of Kokeshi dolls. Many designed by the workshop teacher himself. 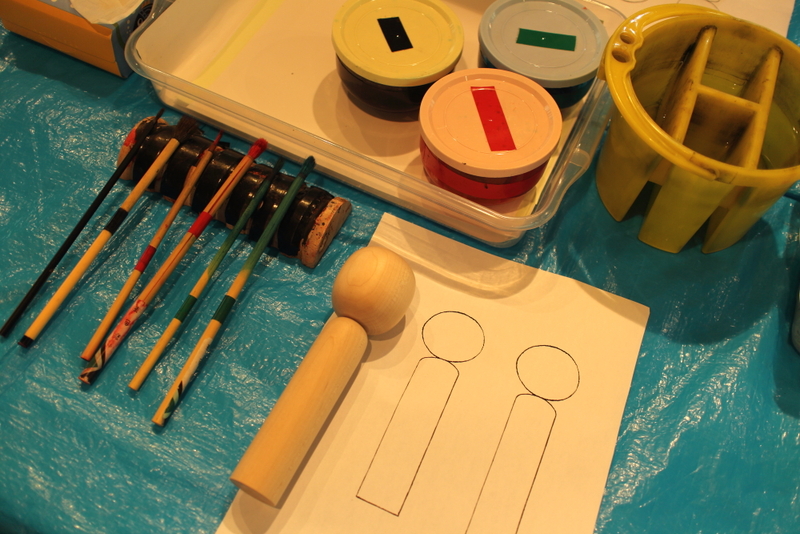 The workshop consisted of planning the designs on paper first and then later painting with thick inks directly onto the prepared wooden dolls. The calligraphy paintbrushes are difficult tools to control especially if you are used to western paintbrushes. 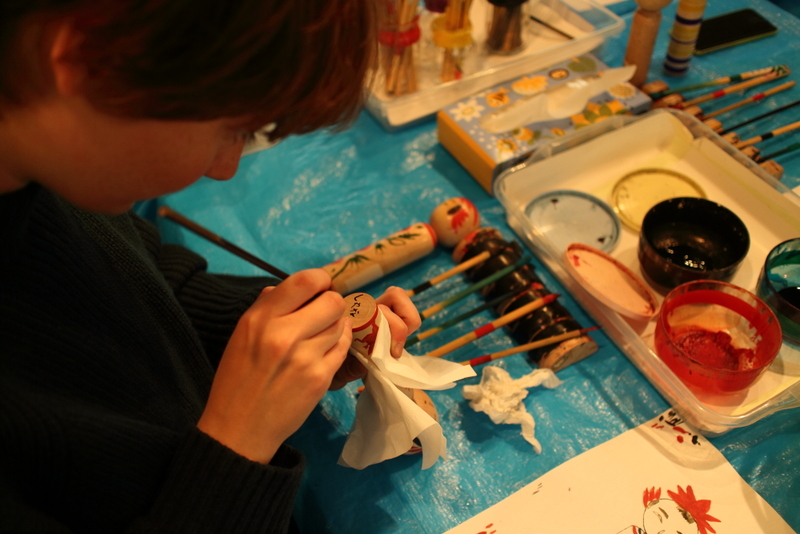 Everything was provided along with ink but to paint a kokeshi doll was a very difficult task, especially when it came to painting on the eyes. The last step was to rub wax onto the doll. Overall the workshop was great and in a very calm atmosphere, the final dolls were photographed and then wrapped up to take home. In total the worksop lasted around an hour. 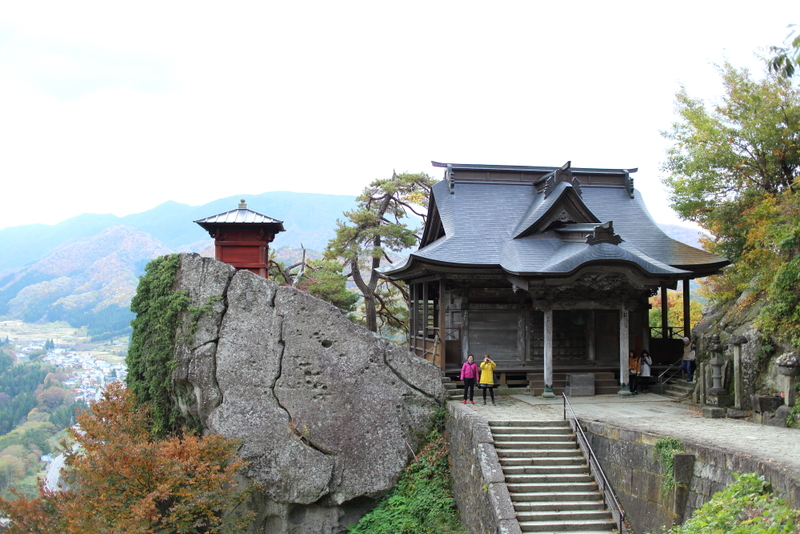 Yama-dera is a historical site located North east of Yamagata city. It is a small mountain climb with steep steps which reach the peak where you can overlook the amazing mountainous landscape from a small open temple at the mountains edge. On our arrival to Yama-dera we first crossed a red bridge that lead onto a small hill where souvenir shops were on either side of the road. The shops sold things such as sandogasa hats, dango and other local cuisine as well as a few fruit markets which had a delicious selection of apples. 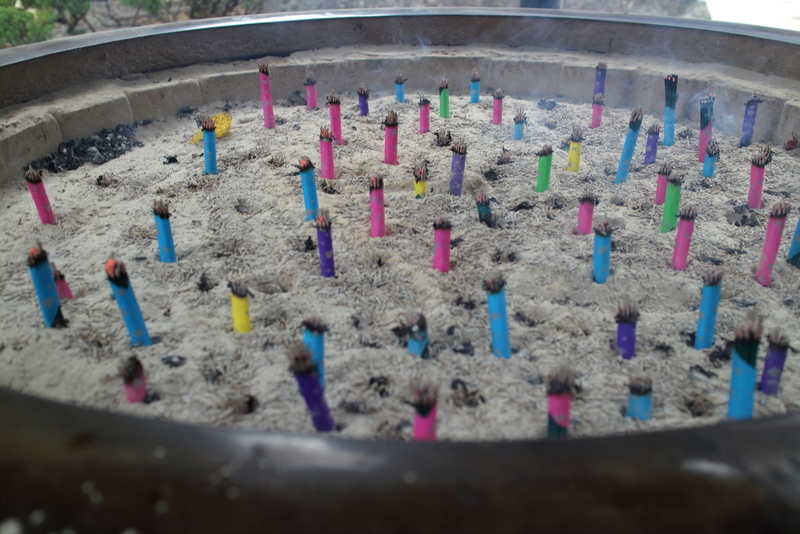 As you reach the near top of the hill we turned left to reach a small temple named konponchudo temple and a pot of burning incense. Continuing down, you will eventually come across the temple gate after passing a few other shrines and smaller temples. 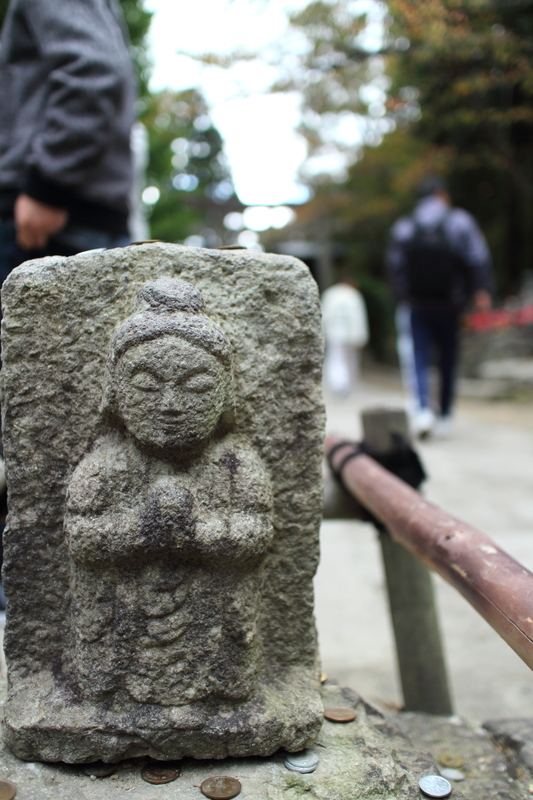 You will have to pay a small entry fee to begin your climb up Yamadera to Risshakuji temple. The climb up is interesting but beware as the stairs can be a little narrow. The climb goes through a forest with amazing cedar and various other large trees, you will pass many wooden temples and there are interesting stops along the way. 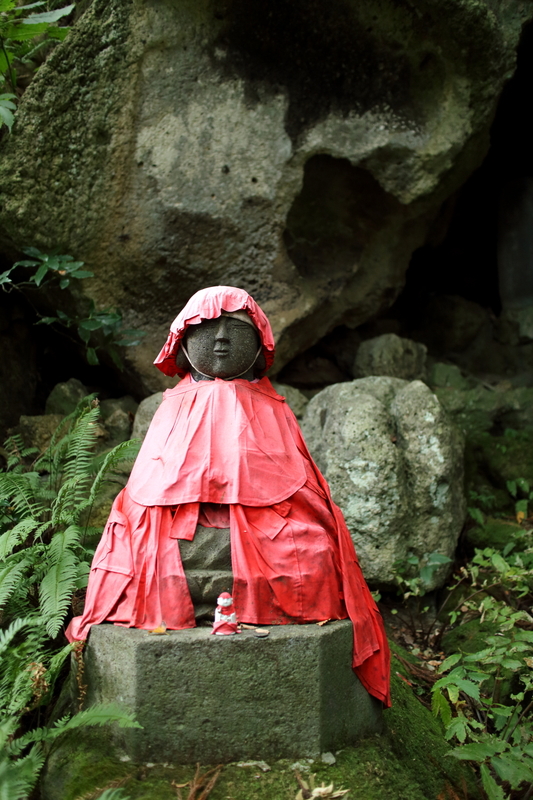 Oyamiishi is a cliff face and engraved into it is a something which is difficult to discern but many people had stuck coins into the crevasses for good luck and making wishes. 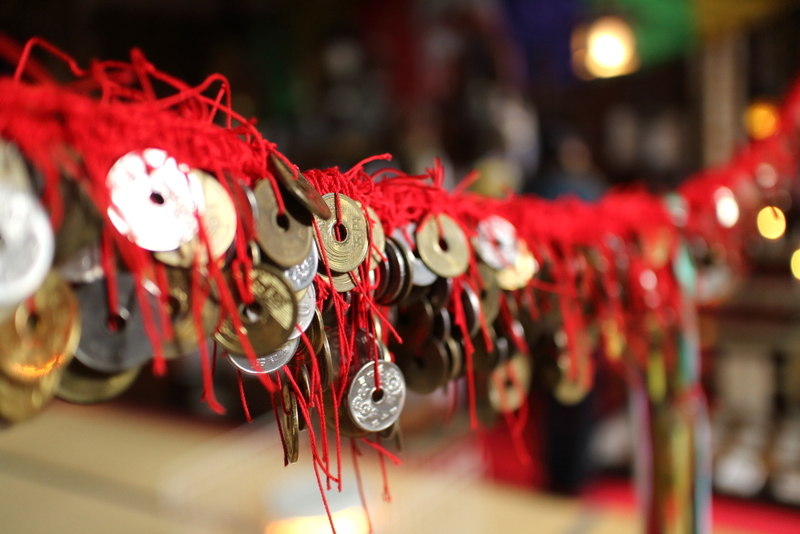 This is a common occurrence up yamadera and you will see coins that have been placed into various trees, shrines and sculptures along the way. Nearer the mountain peak you will go through niomon gate where the ni-yo guardians ‘a’ and ‘un’ (which mean the beginning and the end of all things) stand at either side of the entrance. Near the mountain peak there is a small cluster of wooden temples and houses and is quite a site to see. 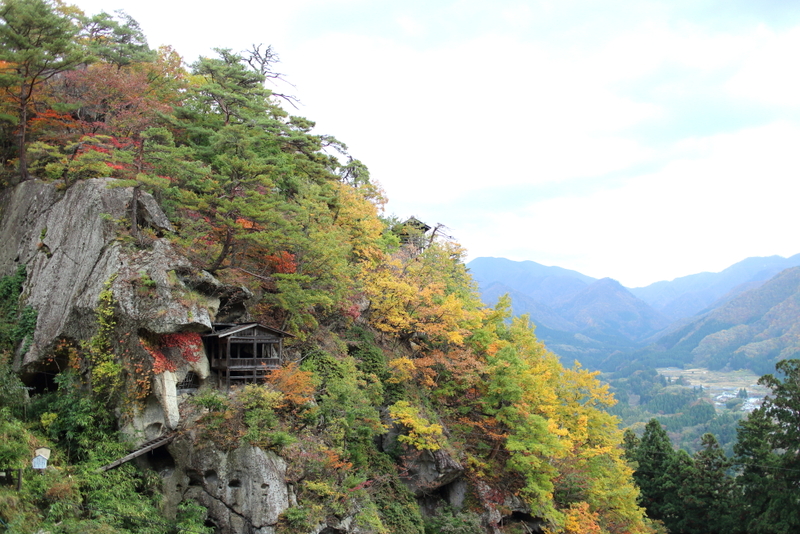 You are able to walk along the mountain paths and look down at the steep valley below or continue up the path to open temple viewing point, I was recommended to come here either in the early summer or winter when the skies are clearer to be able to see further into the valley. Along the right hand path if you look across the valley you will see a small wooden house on the mountain cliff edge which is an amazing sight to see and for me was a highlight of visiting yama-dera. At Risshakuji temple I bought a fortune slip and picked up a ‘moderate fortune’. Unfortunately I cannot read kanji and had trouble making sense of what my fortune was, but overall it was telling me to ‘enjoy and not to rush my work and be careful when travelling from west to east’, this was both coincidentally accurate to my current situation and had be feeling rather apprehensive. But overall was great fun to translate with the help of my friends. 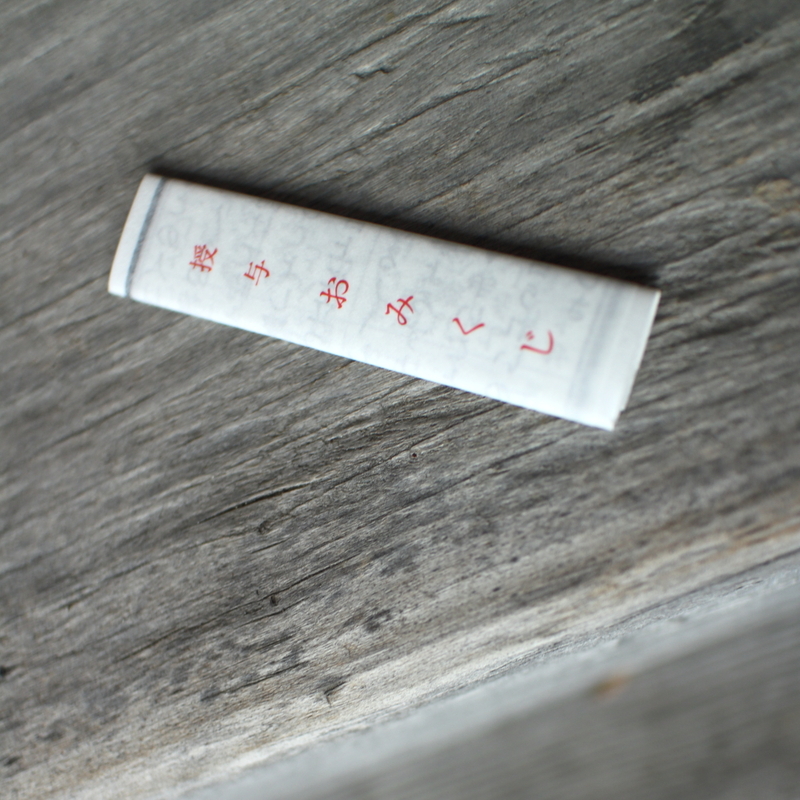 Many people tie their paper fortunes to the wooden beams or trees in the area but I decided to take mine along with me because of the small but nice illustrations that are on the slip. On the way down it began to get very busy but there are a few hidden paths and shortcuts in the amongst the forest to look out for to avoid the crowds. 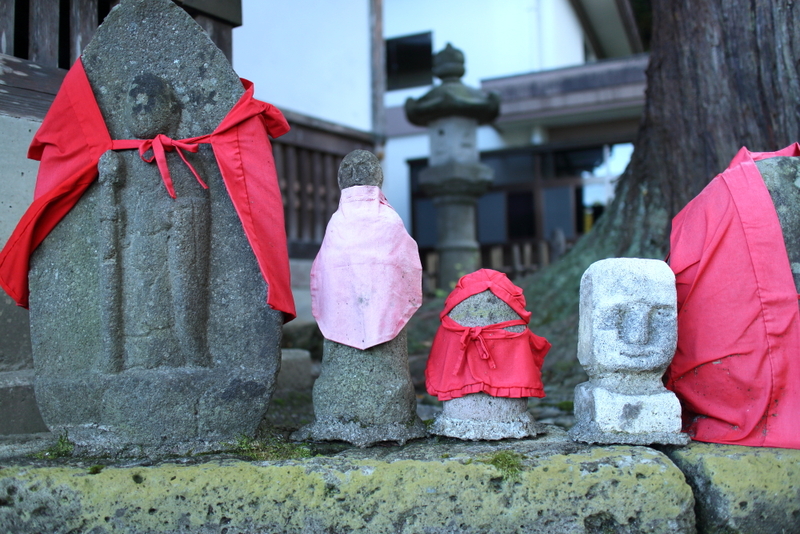 Back at the base of Yamadera we came across a small shop selling many hand made ceramics and stone carved sculptures such as the roundish ‘o-jizo’ figures. 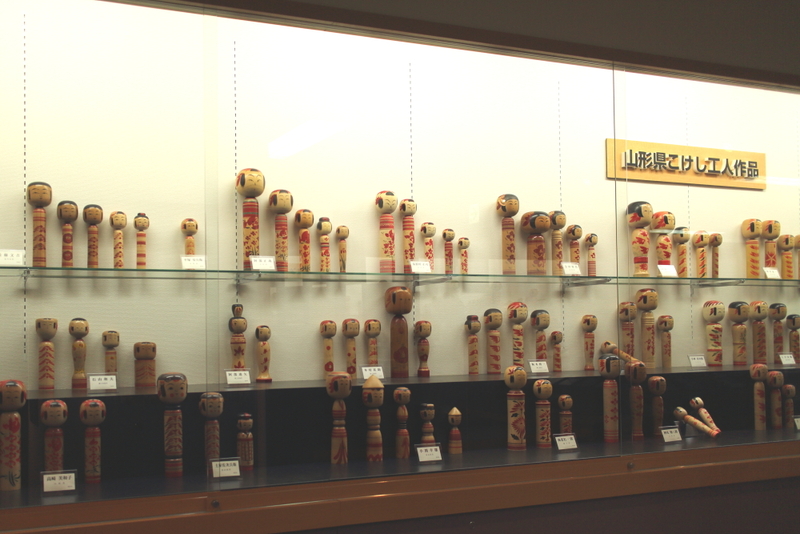 They also had a kokeshi doll workshop where the daughter of a local kokeshi painter was running the workshop. 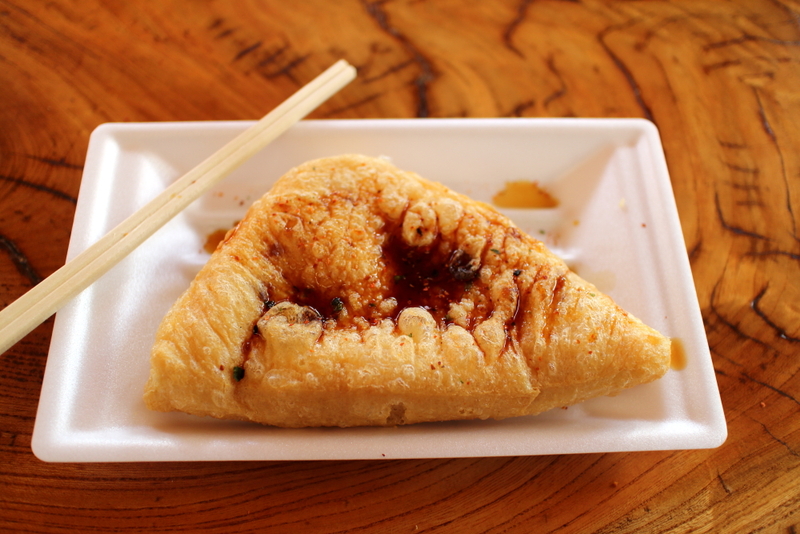 Just outside of the shop was a small vendor selling freshly made dango. 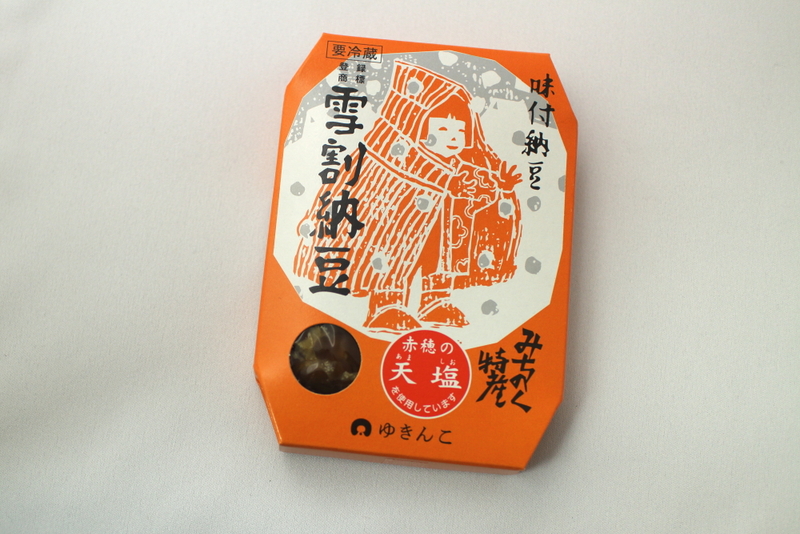 This is highly recommend after you finish your climb up yamadera as konjac is a healthy and filling snack. 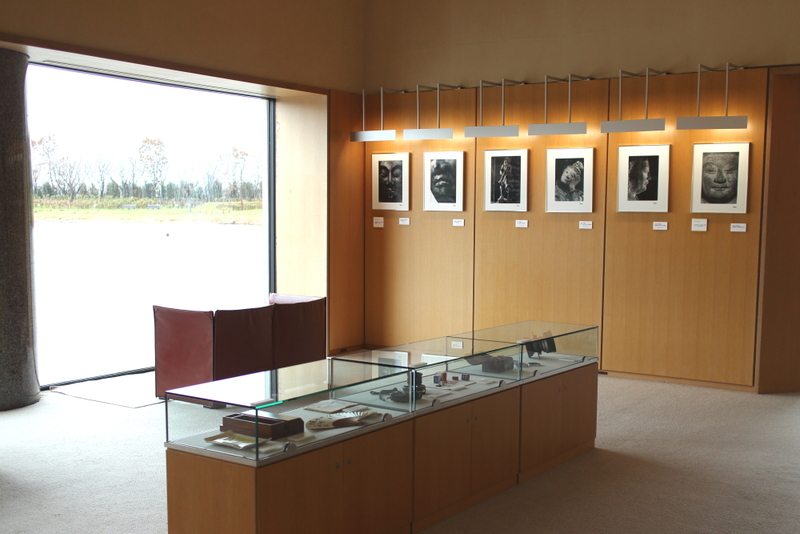 This museum displays the work of world famous photographer Ken Domon. 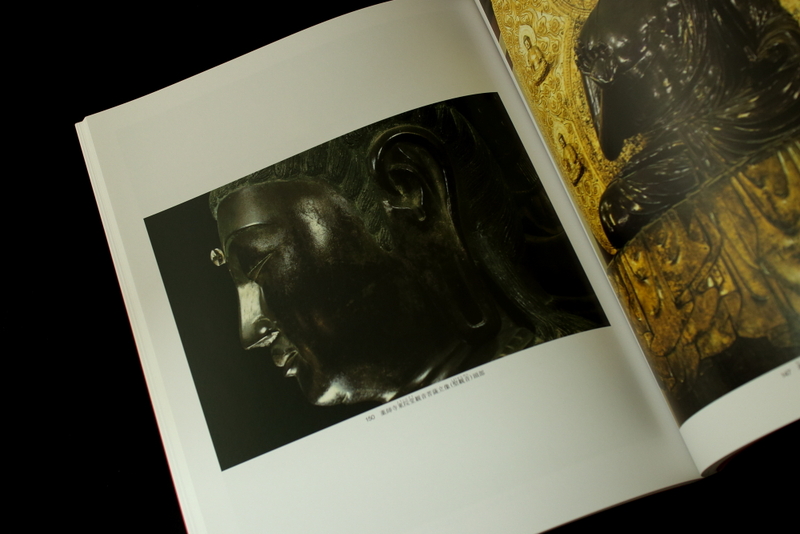 Domon’s powerful masterpieces the “Pilgrimage to Old Temples” and “Hiroshima” series, and his other photographs are on view. 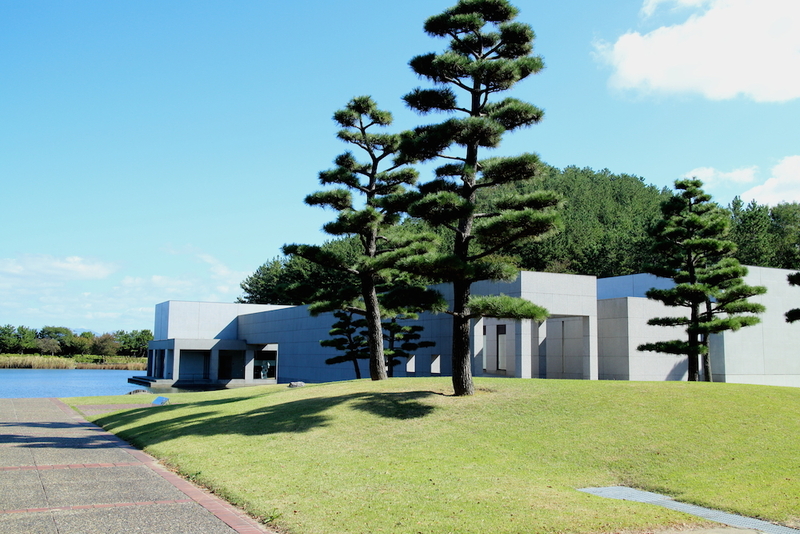 The work of top artists, such as the beauty of this building that complements the natural surroundings, the gardens, sculptures and the work’s name plates, all combine to create the artistic space in this museum. 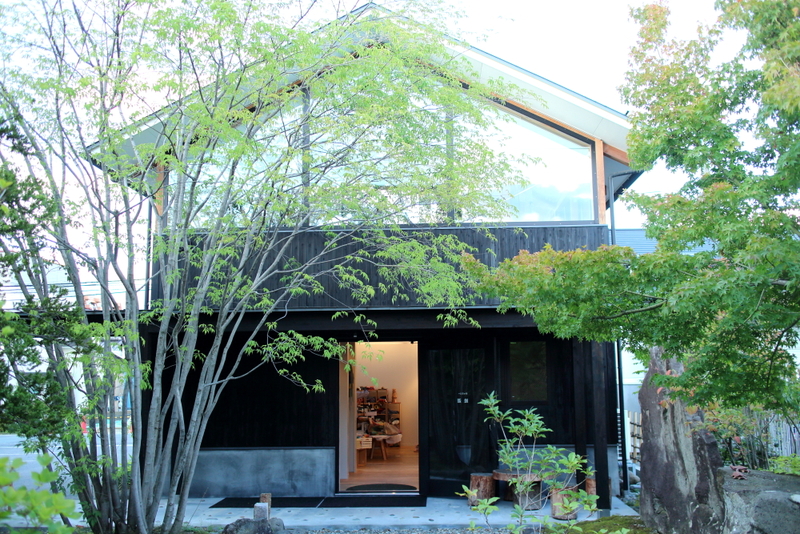 A photographer, born in Sakata City, Ymagata Prefecture. 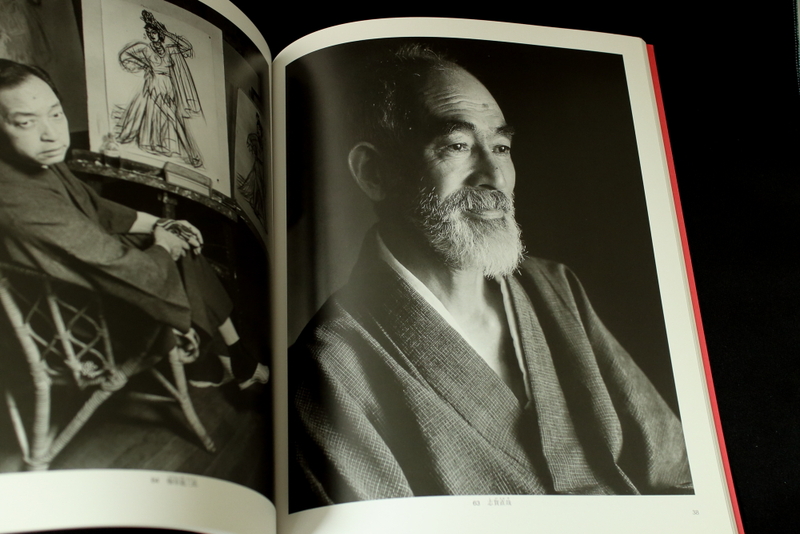 He is a great master who established the realism in the photographic world. He was in a certain period called a demon for news photographic work and is now well known throughout the world. 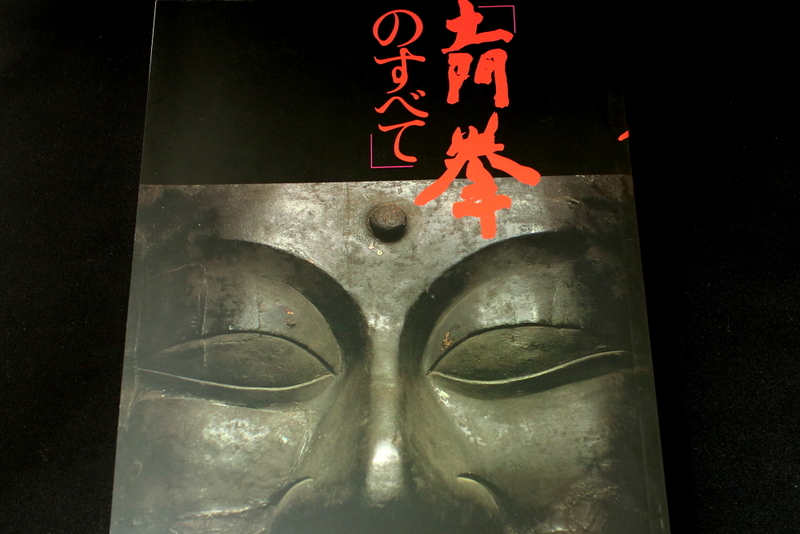 ” A Pilgrimage through Old Temples”, his lifework, is regarded as the pinnacle among his masterpieces and is followed by the similarly distinguished works, such as “Muroji Temple”, “Hiroshima”, “The Children in Chikuho”, “Bunraku Puppets”, “Features”, “Old Ceramics in Japan”, “Wanderings through Old Kilns”, “Lives of Japanese Master-hands” and many other works. Every work of these is famous respectively as a great monument. 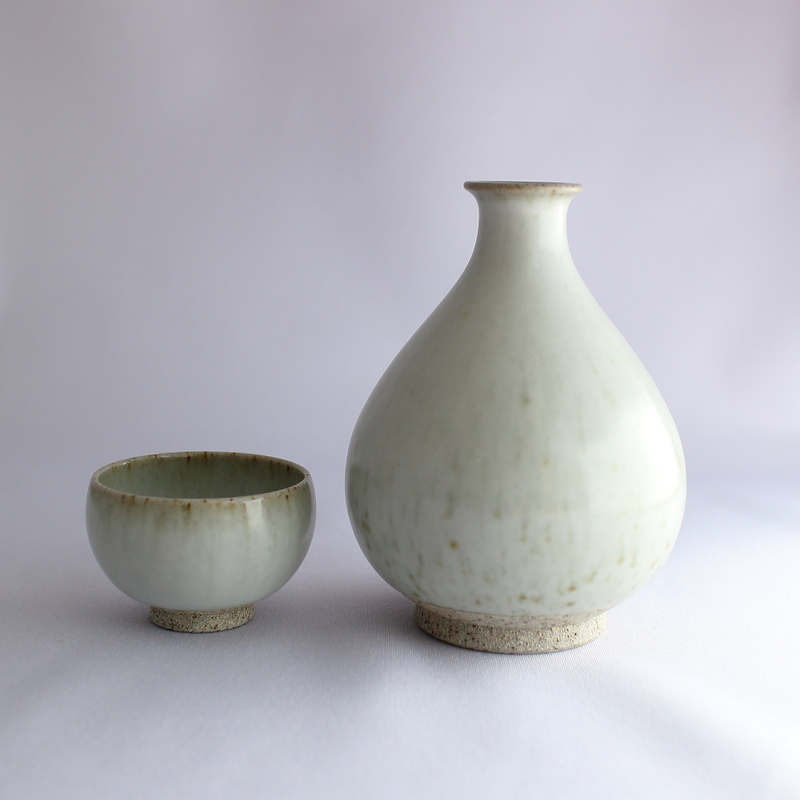 The artistic value of Ken Domon is said to lie in his snappings at the beauties of Japan and minds of the Japanese. His achievements in photography are highly evaluated and he won not only the first Ars Photographic Culture Prize in 1943, but got many excellent prizes. He was decorated in 1972 with a Purple Ribbon Medal, and in 1980 with the Fourth Order of Merit with Minor Cordon of the Rising Sun. Situated at the southern tip of Yamagata Prefecture, the City of Yonezawa is most famous for one of its traditional crafts, the Otaka-poppo. 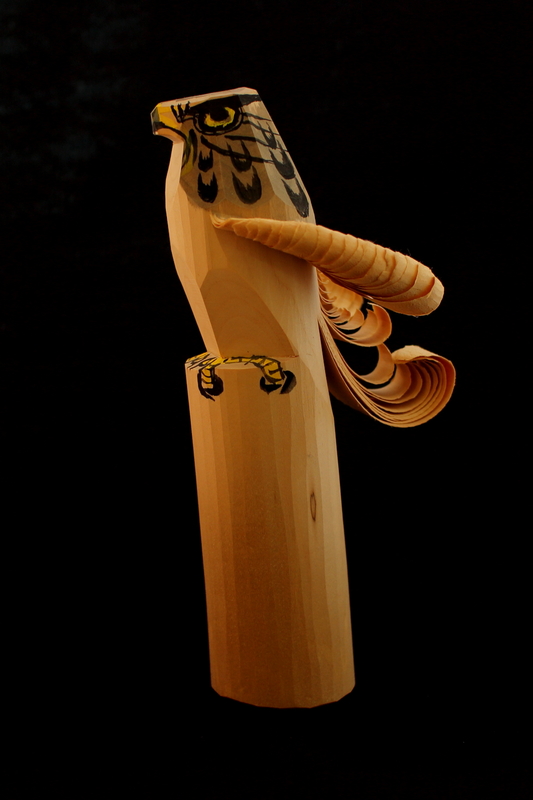 These intricate wood carvings in the shape of a hawk are individually handcrafted by artisan woodworkers. 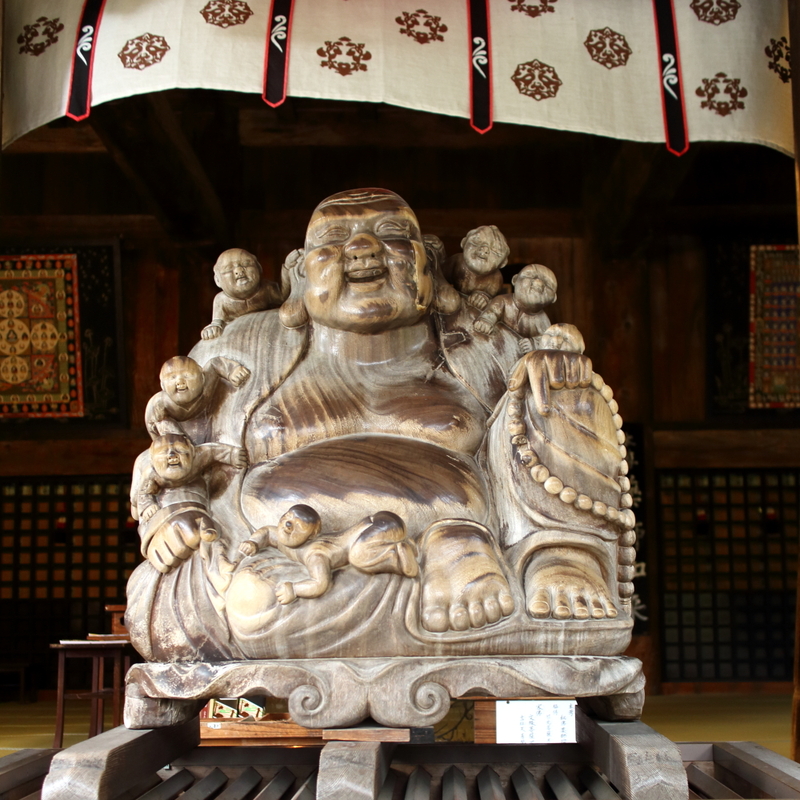 The word poppo comes from the Ainu word for “toy.” Otaka, meaning “hawk,” refers to Uesugi Yozan, a famous daimyo of Yonezawa, and symbolizes nobility and splendor. 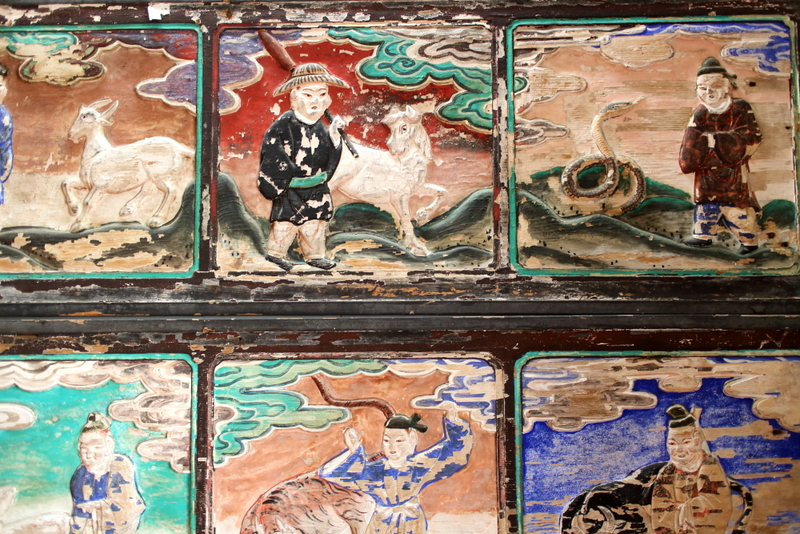 These carvings are imbued with prayers for success in life and the realization of ambition, and thus, they decorate the living rooms and hallways of many homes as talismans of good fortune. Copyright (C) ezolca All rights reserved.